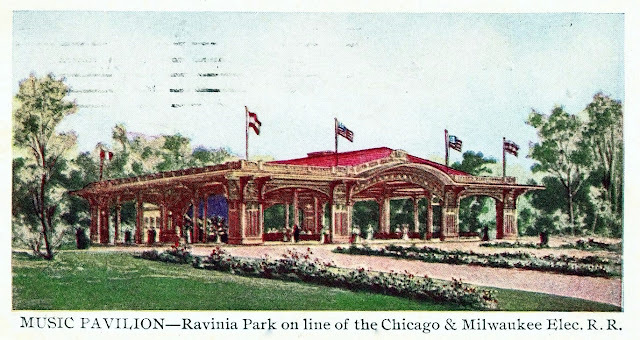 Ravinia was originally created as an Amusement Park by the Chicago and Milwaukee Electric Railway President, Albert C. Frost to increase ridership by offering attractions along the line. 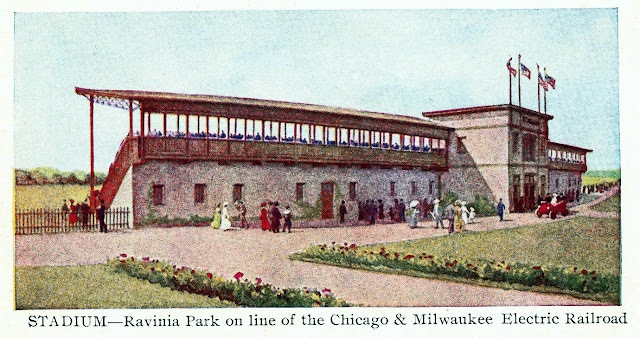 When it opened in August of 1904, the 40 acre park included a stadium for baseball and football games, and a few carnival type rides. During the winter, the playing field was transformed into a hockey and ice-skating rink by flooding the field. 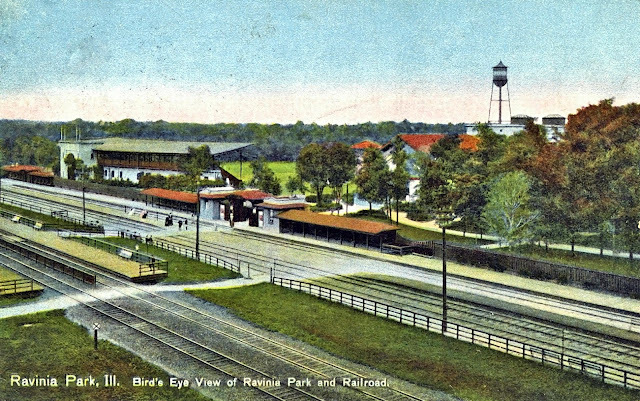 Described by one 1904 reviewer as a ‘majestic grandstand’ and dubbed ‘The Stadium’ by Ravinia Park owner Chicago & Milwaukee Electric Railroad, the Ravinia Park Stadium sat 2,500 visitors and could be viewed from passing trains. 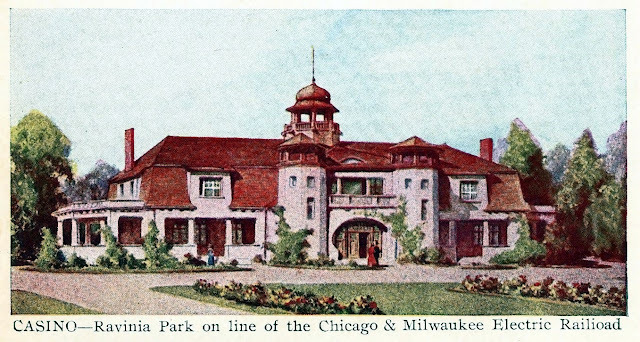 Park buildings were designed by architect Peter J. Weber and included a 24 room hotel (located west of the railroad tracks), a theater building, a casino containing a restaurant and ballroom, a dance pavilion, and the stadium. 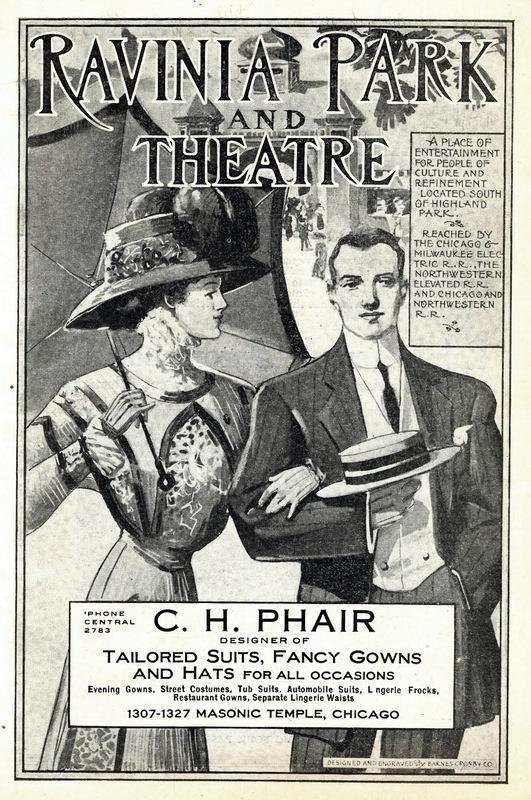 The theater offered “refined and high-class vaudeville” every day except Sunday. 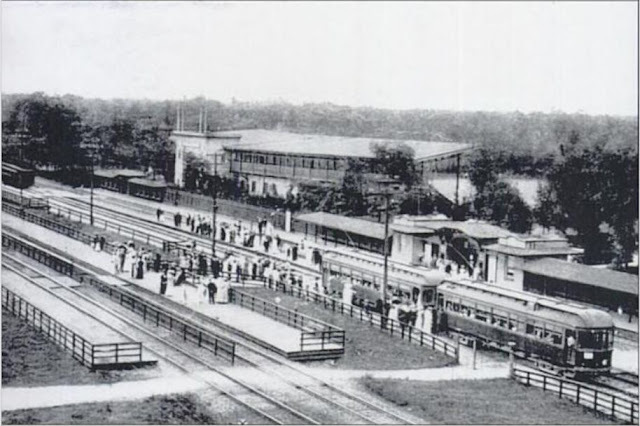 In 1907, the park was forced into receivership. Fearing that it would be purchased by a cheap amusement company, a group of prominent Chicago and North Shore residents organized to raise the $15,000 needed to save it. 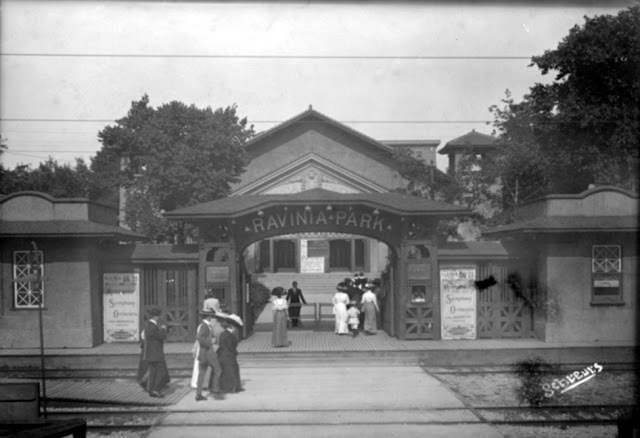 In 1911, Ravinia Park once again faced financial difficulty. Residents of the North Shore, led by Frank R. McMullin of Highland Park, Illinois, raised $75,000 to purchase the park. 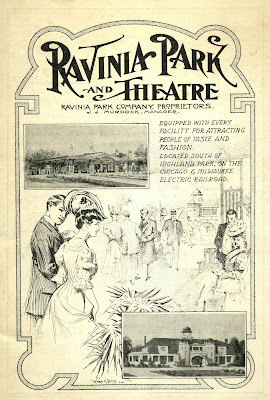 On June 21, 1911, the Ravinia Company was incorporated and the park re-opened as a summer venue for classical music under the leadership of Louis Eckstein. 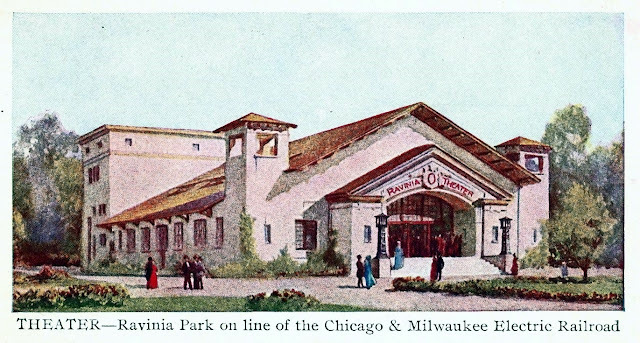 The prairie-style Martin Theatre (then called Ravinia Theatre) is the only building on the grounds that dates back to that original construction. Ravinia had a few carnival rides, ice skating rink in the winter, picnic grounds and 28 room Hotel. The stadium was used for baseball and football games. 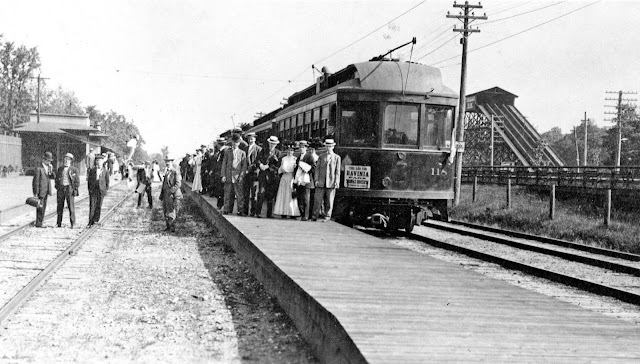 North Shore line R.R. 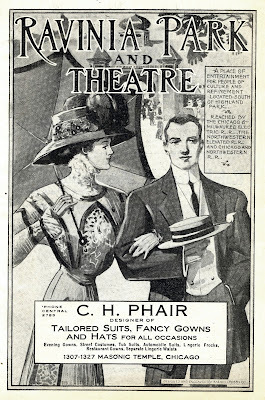 was still promoting baseball games there in 1922. NSL had their own League, Highwood,Highland Park and Glencoe each had a team. The annual Awards dinner was held at the original Moraine Hotel on Sheridan Road in Highland Park. 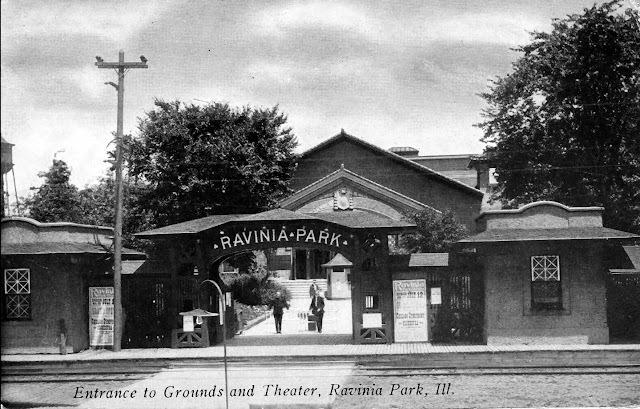 Ravinia Park what's to be built years earlier, but politician/land Speculator William Hogan convinced the railroad to build the park in Highwood instead. The Highwood park was not as fancy and served Wine and Beer. In 1906 it was closed because it became a public nuisance. In 1908 it burnt down. The land eventually became part of Fort Sheridan military base along with the old St John's settlement on the lakefront. 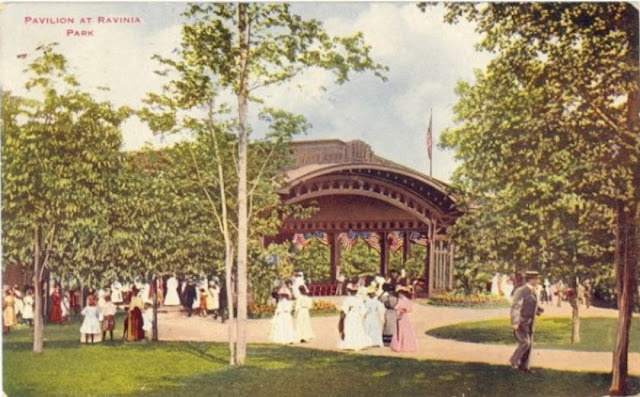 Both parks were promoted as the finest family amusement park west of New York.